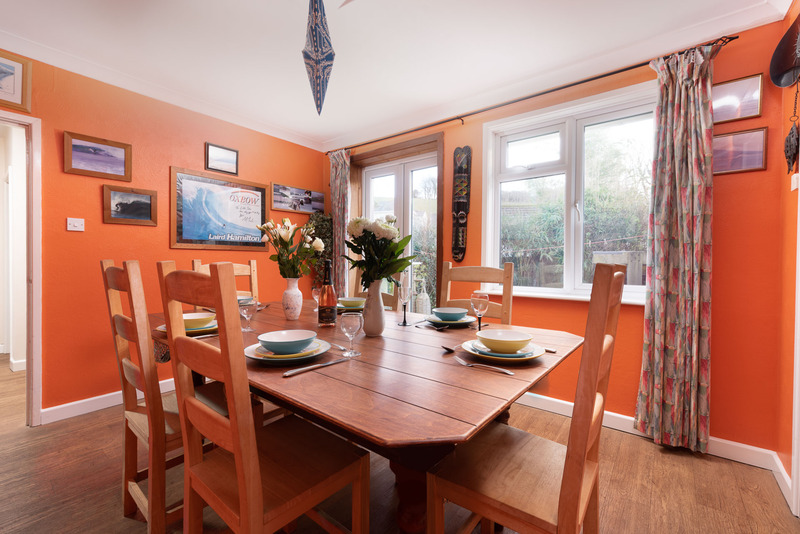 Little Stream is a charming four bedroom holiday home sleeping up to 7 guests situated in a lovely quiet location in the small village of Knowle, just outside Braunton in North Devon. This bright and modern pet friendly holiday cottage with its own private enclosed garden and edged by a babbling stream is well-presented and thoughtfully furnished throughout and provides the perfect base for families and friends looking for a quiet relaxed getaway but still close to the coast and with plenty to do and see nearby. 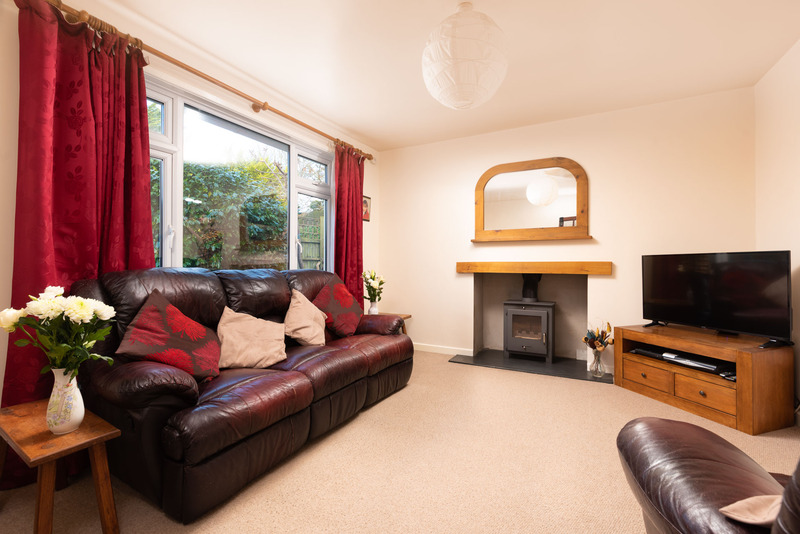 The ground floor boasts a good-sized living room complete with a wood-burner, ideal for those cooler evenings. There are plenty of comfortable leather sofas, a reclining armchair and a large flat TV screen with Sky and DVD. 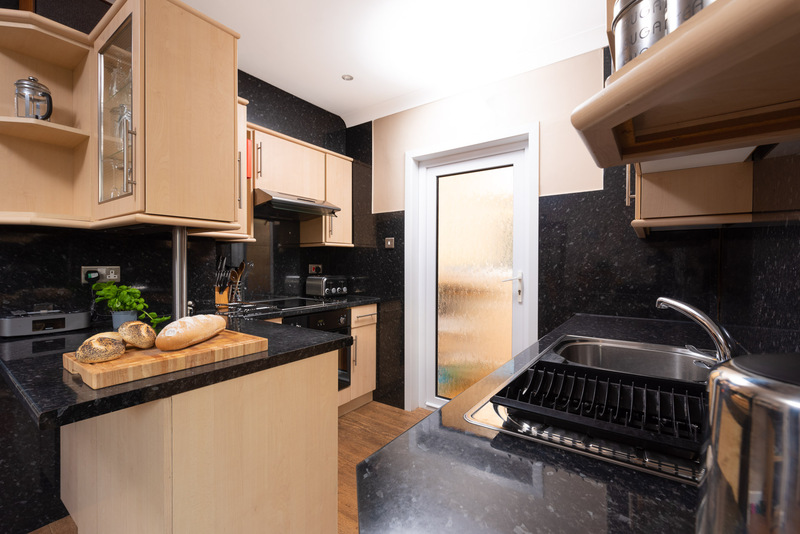 A well-equipped modern and stylish kitchen has everything you need for a self catering holiday and includes dishwasher, electric double oven and induction hob. A small table overlooking the garden provides a lovely spot for leisurely breakfasts, a quick cuppa, as well as chatting with the cook. Next to the kitchen, a separate utility room has a washing machine, fridge/freezer, microwave and additional storage space. 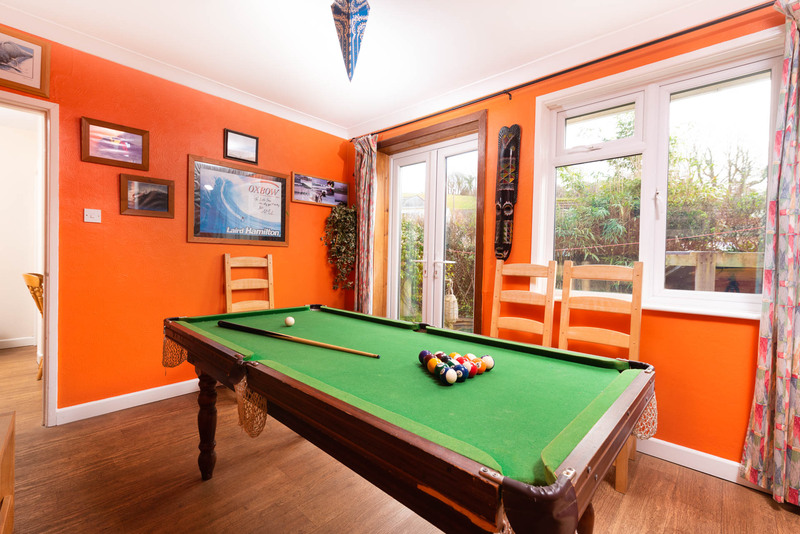 A dining room has a large table which can easily seat eight if needed and also converts into a pool/snooker table too. There are plenty of board games, as well as books so there’s plenty to keep everyone entertained on those quieter days. 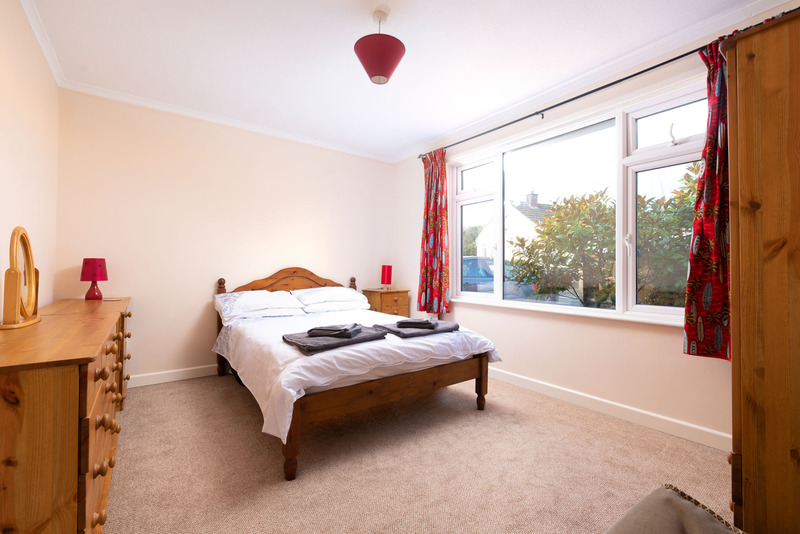 There is a ground floor double bedroom, with a king-size bed, chest of drawers, wardrobe overlooking the front garden, ideal for elderly or less mobile guests. 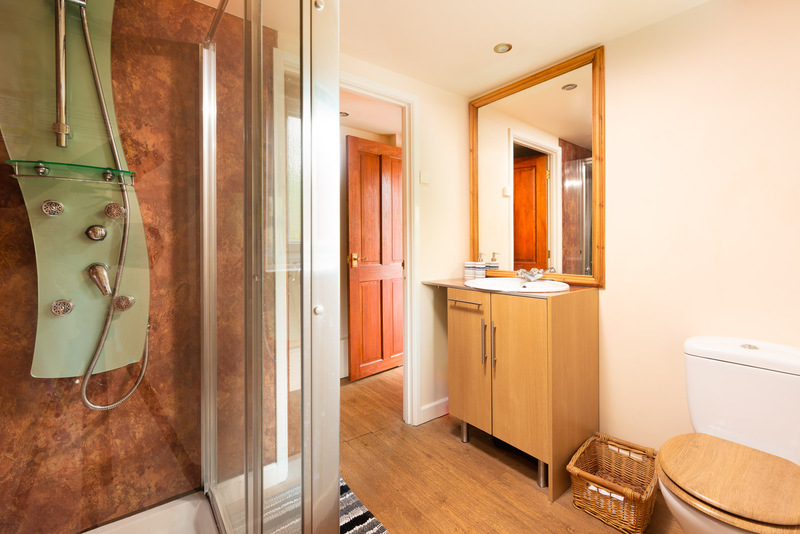 There is also a ground floor family bathroom with a large walk-in shower, wash basin and WC. 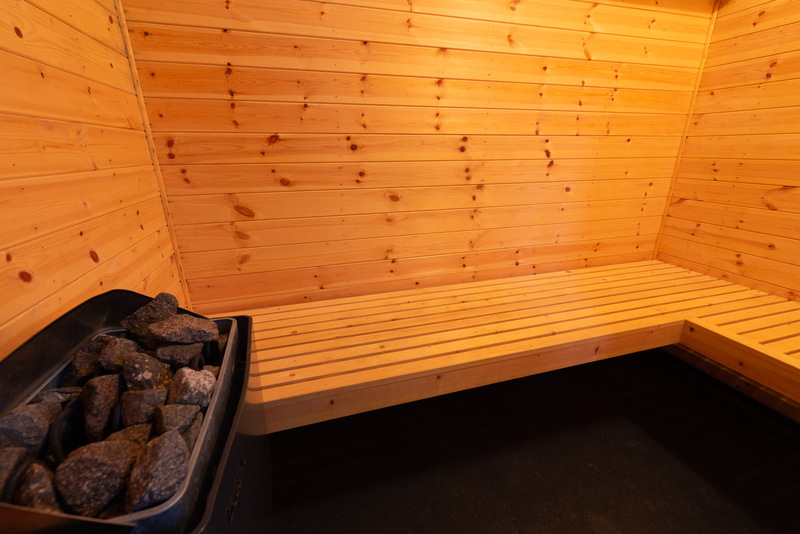 A hidden door leads to the sauna. There are a further three bedrooms and a second bathroom on the first floor. The master bedroom is a large double bedroom with a king-size bed. 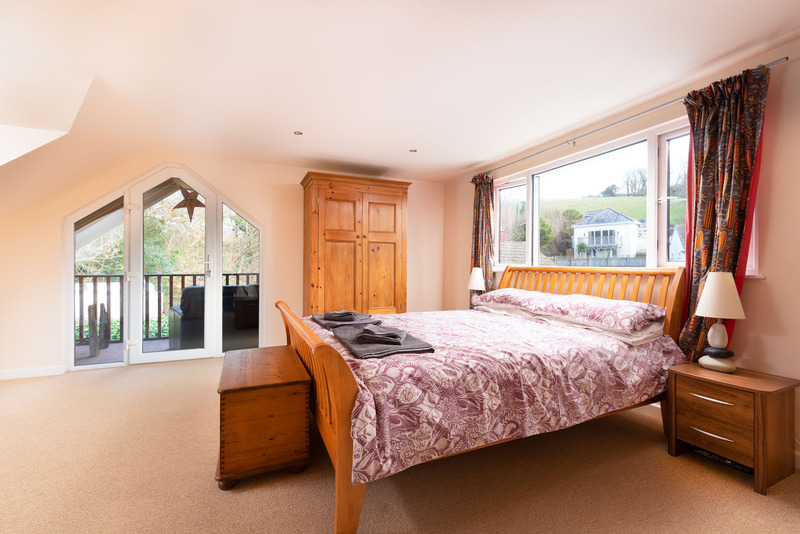 This spacious room has plenty of storage with a large chest of drawers, large wardrobe, dressing table but also has a door leading out onto a private balcony. 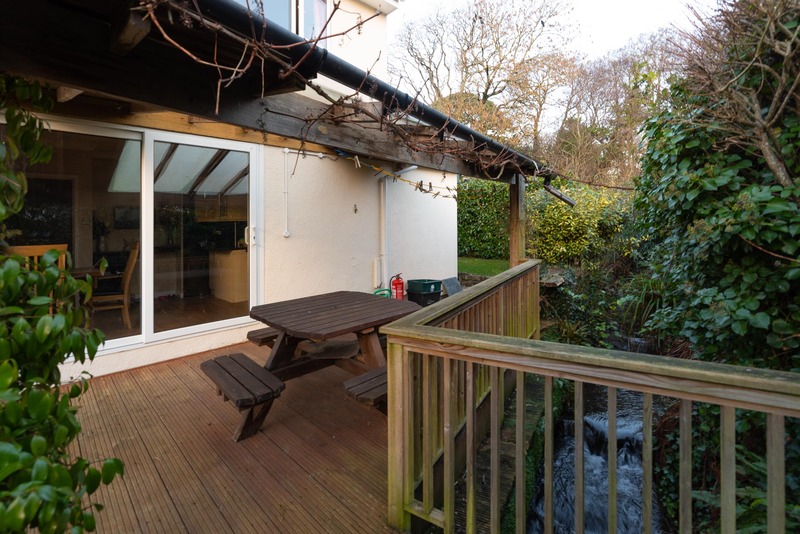 This fully covered balcony with a leather sofa and table overlooks the ‘little stream’, which runs around the side of the cottage. The other bedrooms are a twin bedroom with two full-size single beds and a single bedroom. The family bathroom has a corner bath, separate corner shower, a wash basin and WC. Outside, there is a private garden, with two decked patio areas and a lawn. The first decked area feature an outdoor wood burner/chiminea, leather sofa and wall-mounted sofa, whilst the other decked area has an outdoor table with chairs overlooks the stream. The garden is secure, so perfect for those holidaying with dogs and children. 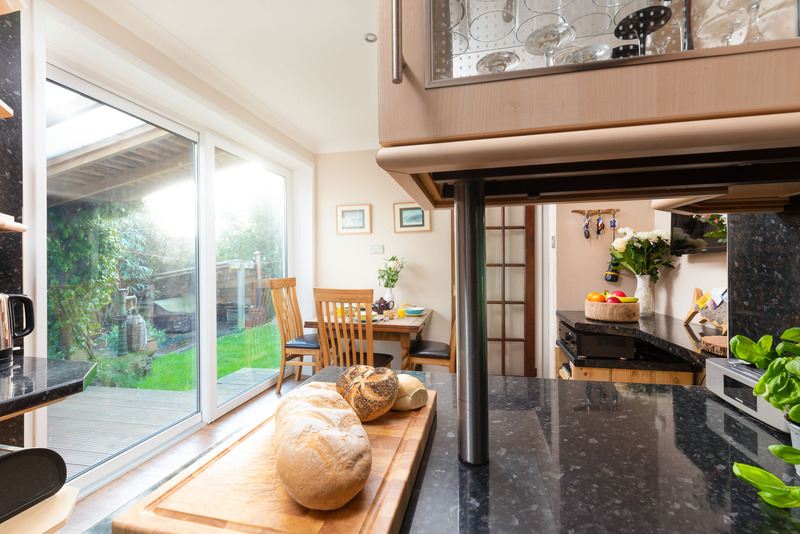 Kitchen: Electric double oven, induction hob, dishwasher, TV and sound system, dining table seats up to 4. Bedroom 2: Double bedroom with king size bed, wardrobe, chest of drawers and private balcony. Bedroom 4: Single bedroom with single bed. Underfloor heating, wood burner, electric double oven, induction hob, toaster, kettle, microwave, dishwasher, washing machine, fridge/freezer, WiFi, bed linen and towels provided (beach towels not provided), travel cot (please bring your own bedding), high chair, private garden, private balcony, 3 km to the coast, 0.5 km to the nearest pub, off road parking for 2 cars, no smoking, weekly changeover is Saturday, pets welcome ( 2 dogs allowed), supermarket delivery, refundable deposit required is £100. The village of Knowle has a garage with convenience store and post office and a welcoming local pub, serving excellent food and local ales. The larger and vibrant village of Braunton is just 10 minutes away with an excellent choice of lively pubs, good quality restaurants, award winning fish and chip shops, cafes, independent shops and thriving surf community. For days at the beach, the stunning North Devon beaches at Saunton, Croyde, Putsborough and Woolacombe, well-known for their clean golden sands and fabulous surf are all just a short drive away. The South West Coast Path and the Tarka Trail provide miles of paths and fantastic walks around Braunton and towards Barnstaple.